We have a super weekend coming up for everyone in the family to enjoy and to help celebrate Fenner Nature Center and the fall harvest. The 39th annual Apple Butter Festival is on tap for October 13th and 14th. But what exactly is apple butter? And how is it made? Wikipedia states that apple butteris a highly concentrated form ofapple sauce, produced by long, slow cooking ofappleswithcideror water to a point where the sugar in the applescaramelizes, turning the apple butter a deep brown. The concentration of sugar gives apple butter a much longer shelf life as apreservethan apple sauce. I dont generally agree with everything posted on Wikipedia, but well today Im giving ole Wiki a pass because they actually reference Fenners Apple Butter Festival in their post. The &apos;butter&apos; is in reference to the consistency, and there is actually no butter or dairy involved. In our house, we enjoy apple butter on toast and I have added it to turkey and brie sandwiches. Delicious! At Fenner, they cook apples over an open fire in a big copper cauldron. People take turns stirring it. Im not sure how long it takes, but Im going to say a loooooong time, because this festival lasts a whole two days. And I hear theyve got some local celebrity stirrers on hand. In addition, they will have arts and crafts, games and more. Yay! 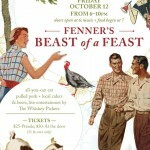 And dont miss the newest, latest and greatest addition to this weekendits a Beast of a Feast on Friday night. Call up the babysitter and then head over with your friends for some all-you-can-eat pulled pork and live music from the Whiskey Pickers. This is promising to be a great evening of socializing, dancing, eating and just plain fun. 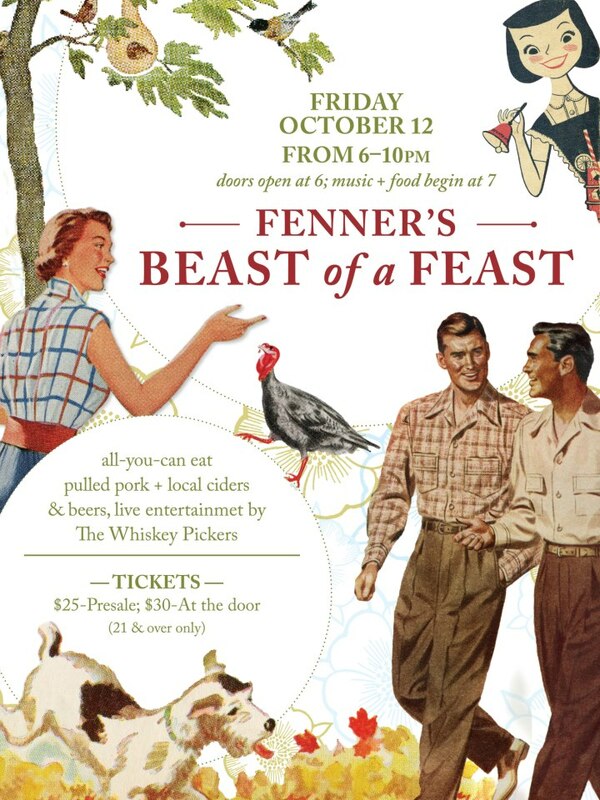 And the proceeds benefit this wonderful Lansing gem-Fenner Nature Center. So lets stir up some great fall fun and make some memories to last a lifetime. Fenners Apple Butter Festival Saturday and Sunday October 13-14 11 a.m.-5 p.m.